It’s easy to write off President Obama’s announcement of his support for gay marriage as a political ploy during an election year. But don’t believe the cynics. Andrew Sullivan argues that this announcement has been in the making for years. “When you step back a little and assess the record of Obama on gay rights, you see, in fact, that this was not an aberration. 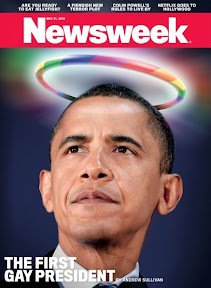 It was an inevitable culmination of three years of work.” And President Obama has much in common with the gay community. “He had to discover his black identity and then reconcile it with his white family, just as gays discover their homosexual identity and then have to reconcile it with their heterosexual family,” Sullivan writes.